I got SuSE (Linux) installed last night. I was pretty impressed with how Linux has progressed from an end user standpoint. Of course, it is still Linux. Combine that with the fact that I can’t do anything standard in my life, and you’ve got the need for me to do some tweaking. However, the basic OS install, and adding additional packages for PHP, Perl, Apache, MySQL, MPlayer and Xine were pretty easy. I still have to configure the remote for my Hauppauge PVR-250, and get the X server configured and running … maybe tonight! 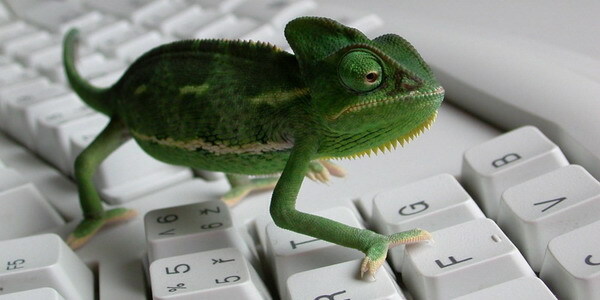 “Geeko” is the official name” of the chameleon mascot for SuSE Linux. There’s even cool fanfare you can buy (which, by the way, make great presents for someone with the initials NS). Anyways … after a few days of playing around with SuSE (and a few other distros also) I became one with the Geeko tonight. I was just playing around with some settings trying to get my ATI Radeon TV-out to work with the XFree86, when all my screen colors went wacky in the setup utility. After a reboot, there was no more configurations to set up so it boot right into …. ta-da! a graphical interface! Now granted, it’s only FVWM, but it’s one step closer. Now I just need to get a real window manager installed (probably FluxBox). I must be really sick … in order to see what I thought of various distributions, I installed FreeBSD, Debian, Knoppix (basically Debian), Mandrake, and SuSE. I even tried FTP install vs. CD install, updated quite a few packages. And yes, just to fill out my linux install experience, I replaced my kernel. Good thing the baby’s not here yet – is this something it can be proud of it’s father for?! I’m hoping! !